We believe in travel as a journey through life, savoring the moments as we go. While we often have destinations that we must get to for some reason or another, to attend a conference or to visit friends or family, our trips usually involve many stops along the way. You can follow along on our upcoming journeys in real time on Instagram, or retrace our steps when planning your own trips by taking a look at the places we found as we roamed. We are developing these pages in itinerary format to help you with travel planning. Bartram Adventure Tour: (2018) Five days of exploring the Bartram Trail in Putnam County by bike, on foot, and while paddling, with experts to guide the way between points on this new National Recreation Trail in Florida. 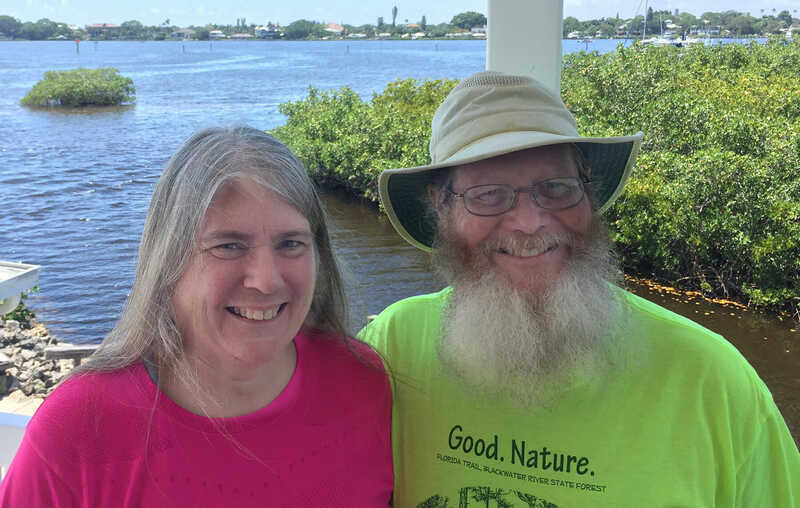 Overseas Heritage Trail: (2018) Wrapping up our research in the Florida Keys to check in on natural areas and to ride the length of the Florida Keys Overseas Heritage Trail from Key West to Key Largo. Shenandoah Valley Rambles: (2018) A road trip within a road trip, crisscrossing the Shenandoah Valley in search of trails, museums, and natural history. Museum Musings: (2018) Foul weather drives us indoors for most of our fall road trip on the East Coast, but we make the best of it by visiting fascinating museums in Virginia, Pennsylvania, New Jersey, New York, and West Virginia. Florida’s Adventure Coast: (2018) A week of outdoor adventures centered on Brooksville and Spring Hill / Weeki Wachee during the Florida Outdoor Writers Conference. Biking UP Michigan (2018): Spending a summer month visiting great biking and outdoor destinations while learning about the history and culture of the Upper Peninsula and the Petoskey Area. Southern Culture & Trails: (2018) Celebrating the uniqueness of Georgia, Alabama, Tennessee, and Kentucky as we cross them and stop to explore in both directions along our Michigan-focused road trip. Calusa Waters & The Florida Keys (2018): Two weeks of exploration along the southwest Gulf Coast and the Florida Keys, including two trips to Key West, one by ferryboat. Nieuw Amsterdam to Nassau (2017): Driving to Fort Lauderdale in winter, we explore around the city before and after our first cruise together, a Holland America Line cruise to the Caribbean. Northwestern Oregon (2017): A series of guided trips centered on our conference in Portland, including exploration of the Hood River region, Oregon Coast, and Willamette Valley. Southern Bikes & Hikes (2017): Stops in South Carolina, North Carolina, Tennessee, and southern Virginia to explore trails on our way to the ALDHA Gathering in Abington, Virginia. Duluth & The North Shore (2017): Exploring Duluth, Minnesota, on foot, followed by a road trip up to Grand Marais along the scenic North Shore of Lake Superior. Apalachicola Riverways South (2017): For part of our research for Explorer’s Guide North Florida & Panhandle, we joined a group trip showcasing the stories of the rural tier of Florida counties between the Apalachicola and Choctawhatchee Rivers. Appalachian Homecoming (2016): Road trip through Pennsylvania, New Jersey, New York, and the Berkshires to revisit Sandra’s hometown and places she’d hiked and explored over the years. Following the Florida Trail (2016): From the Apalachicola River east, we hike segments of the Florida Trail while visiting with friends in trail towns, timing our adventure to arrive at the annual Battle of Olustee. Blue Ridge Beauty (2015): Two weeks on the road to attend the ALDHA Gathering in Central Pennsylvania, heading up through rural South Carolina, North Carolina, and Virginia and returning via Skyline Drive and the Blue Ridge Parkway during fall color season. Vegas Nature Escapes (2015): During a conference in Las Vegas, we escaped to nature in Red Rock Canyon, Laughlin, and Death Valley. East Coast Ramble (2015): A three week road trip from Florida to the Eastern Shore of Virginia and back again, with a strong focus on coastal communities in Virginia and North Carolina. Natural South Florida (2015): An immersion in summer into lush tropical places from Naples and the Everglades to Miami and Key West, biking and hiking. Sacramento Yoyo (2015): Flying in and out of Sacramento, we did some serious driving to catch two life list destinations, Yosemite in winter and the redwood forests of Northern California. Columbia River in Winter (2014): We learned what the Corps of Discovery discovered on a blustery winter trip up and down the Columbia River east and west of Portland, Oregon. Gulf Coast Exploration (2013): With a conference in Biloxi, Mississippi, we take time to explore coastal gems on our return route to Florida. Circling the Smokies (2013): Attending the Trail Dames Summit in Maryville, Tennessee, inspires us to ramble into Cades Cove, and then circle through Pigeon Forge and Dandridge to Hot Springs, North Carolina and pick up another section of our AT hike in Tennessee. Midwest Meanders (2012): A month of exploration from South Carolina, North Carolina, and Tennessee to Chicago and Wisconsin, back south into Iowa, Indiana, Kentucky, and Tennessee on the return trip. Gracious Gardens of the South (2011): A month-long spring road trip with Mom through the Southeast to chase the azalea blooms, with its northernmost destination the annual North Carolina Azalea Festival. Not Quite Thru (2012): The story of our Appalachian Trail thru-hike together that taught us to work as a team. Antigua & Barbados (2018): Rum-soaked days in the sun on two Caribbean islands with two very different vibes. Antigua is small and vibrant; Barbados, much larger, has deep roots in world history and a fascinating web of connections to the United States and Britain.